Coordinating a meeting with four people across multiple companies costs $250 in wasted time. Different companies use different calendar systems and it's often not possible to share availability with partners. FreeBusy connects to everyone's existing calendars. It matches availability using data from each calendar and makes smart suggestions for when to meet. 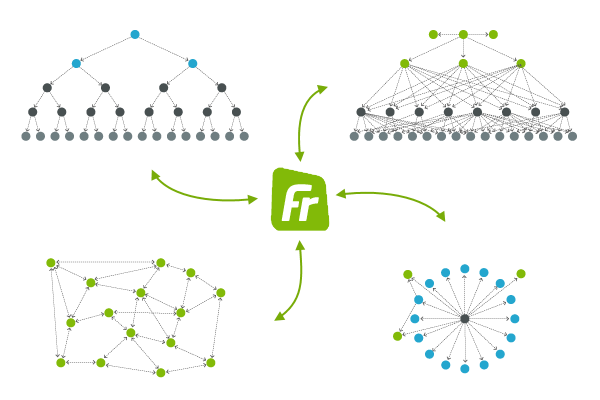 FreeBusy works with all calendar systems, whether corporate, school, or personal. Use Google Calendar in your daily workflow? FreeBusy has you covered! Create a new event as usual and let FreeBusy help you with picking the right time to meet. No need to switch to Google Calendar in order to schedule an event. 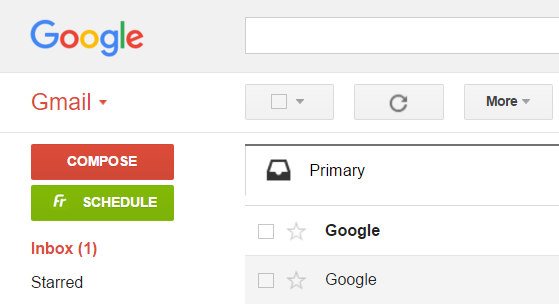 With FreeBusy, Gmail just got a Schedule button, right below Compose. Avoid proposing meeting times blindly, without any context about the attendees. FreeBusy let's you suggest meeting times that work for all attendees. When writing emails, insert links to meeting polls that let the recipient pick from times you already know work for everyone. The FreeBusy Chrome Extension toolbar button makes available useful shortcuts that stay with you no matter where you navigate on the Internet . It makes it easy to insert a link to your FreeBusy page into any website, be a it a social network or discussion forum. What is the green toolbar icon for? This icon represents your FreeBusy Hub. It lets you pin a favorite contact to instantly know when they're available. How else can I use FreeBusy for Gmail? We deeply integrate with Gmail to let you schedule and coordinate meetings straight from your Inbox. Just tap on the green Schedule button below the Gmail's Compose button and a dedicated Schedule view will open. Provide details of the event you'd like to schedule and tap 'Pick a Time'. We take you to our website to show you the times that everyone is available. Choose a time that works for you. Then click Schedule and that's it! So easy and so fast. Can I suggest the times I'm free to meet? Just click on the green FreeBusy icon at the bottom of the Compose window (this is the one that you send emails from). Provide details of the event you'd like to schedule and indicate the times you're free. We'll insert them into the email for your recipients to pick the right time. What are the benefits of overlaying availabilities? Let's say John wants to meet with Julie. Thanks to FreeBusy and overlaying of availabilities, John doesn't have to ask Julie when she's free to meet or offer times when he's free, hoping that she'll be too. The Pick-A-Time feature of FreeBusy for Gmail knows Julie's availability and shows it on top of John's. This way, John sees the times Julie is busy, so he can propose a time that's likely to work for her. How can I leverage contacts aggregation? Every time you schedule a meeting with FreeBusy for Gmail, the attendees field in the Schedule view in Gmail autocompletes using all your linked accounts' contacts directories. Let's say you'd like to invite your boss and a family friend to a bar. The email address of your boss resides in your work Kerio account, while that of your friend in your personal Office 365 account. Thanks to FreeBusy, you can start typing either of their emails in the attendees field and we will autocomplete them for you.